From early on in my PhD studies, I started participating at national and international conferences and I am really appreciative of their value for young researchers and practitioners. I believe that sector events, be in conferences or symposia, bring your confidence level right back where it should be: if you feel too cocky about your work, you’ll surely find some gurus from your field that will make you realise how much is still there for you to learn; on the other hand, if you feel a bit demotivated and not quite up to speed with your preparation, there will be someone praising your work and showing interest in it. In any case, I always go back to my office with a renewed motivation and enthusiasm after each sector event. The past CIBSE Technical Symposia I went to were no exception. On top of feeling revitalised by a symposium experience, I was always amazed by the breadth of topics presented there. There are so many aspects of building services. Even windows are classified as one of them, and that’s how someone like me, working on daylighting, got involved with CIBSE in the first place. But all these different services (heating, cooling, fenestration, etc.) need to work well together for a complex system – as buildings are – to function properly. 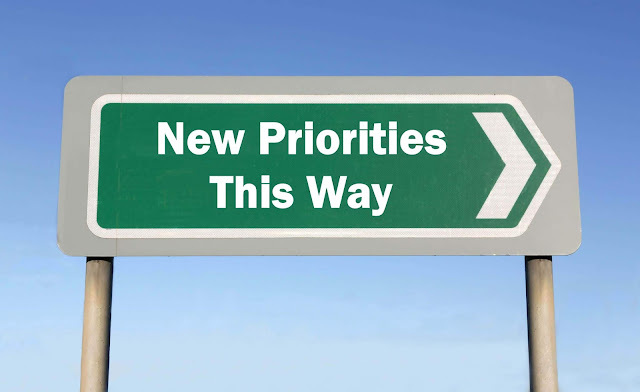 Having a chance to hear about best practice, innovation and research in fields that may look far from yours at a first glance can spark new ideas or prompt comparisons and discussions. I remember a few presentations about monitoring systems, data collection and occupant behaviour models that were quite inspiring for my own work, even though they were concerned with different environmental factors than those I usually look at. 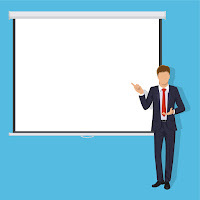 Not to mention that case studies and applications presented by industry professionals are often eye-openers for the young, starry-eyed academic. Equally, I noticed that many practitioners who embarked on research studies within their design projects acquire a greater appreciation for the role of research and for its challenges. This dialogue between academics and practitioners really finds fertile ground at an event like CIBSE Technical Symposium. After understanding each other’s strengths and limits – and realising that all participants share the same goals of improving the field and ensuring good quality, sustainable and comfortable designs – the basis for successful collaborations is already there. And, if the two days of the Symposium are not enough, there are many other events that CIBSE organises throughout the year – you are very likely to bump into the same people again and again, increasing your chances to establish a productive collaboration. Networking opportunities at the Symposium are invaluable. On top of all this, I can assure both the future and existing participants that the event allows space for all levels of expertise and commitment. Over the years, my involvement with the Symposium increased very, very gradually. My first time was in Edinburgh in 2016, and I was only attending as a spectator (how relaxing was that?). I then presented my work in a poster session when the Symposium moved to Loughborough in 2017, and I chaired one of the sessions on lighting when it was held in London the following year. This year I am chairing a session again, I am part of the planning and scientific committees, and I am presenting my research on solar climate and irradiance data. I’ll land the opening session any time now! OK, maybe I’ve got a bit overconfident. As I said before, it looks like I need a conference to bring me back to reality. Luckily, the 2019 CIBSE Technical Symposium in Sheffield is fast approaching. I look forward to meeting you in Sheffield on the 25-26 April. Join us at CIBSE Technical Symposium 2019 to meet Dr Eleonora Brembilla, hear her full paper and share your own experiences, including perhaps of how attending the past CIBSE Symposia has shaped your own exchange with either practitioners or academia? 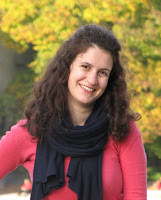 Dr Eleonora Brembilla is a Research Associate in Advanced Building Daylight Modelling. Her current project focuses on the creation of new standard climate files for advanced daylight simulation and it is funded by CIBSE. Eleonora obtained her PhD from Loughborough University, where she investigated the ‘Applicability of Climate-Based Daylight Modelling’. View full biography. Dr Brembilla's paper presentation No 3.2 has been included in the Session 3 stream focusing on "Delivering and assessing performance in building lighting" and will take place on Day One of the Programme, Thursday 25th April 2019. To participate in over 60 presentations across 2 days plus enjoy multiple opportunities to meet like-minded delegates and speakers in a relaxed setting, secure your place today. 3 weeks to go. See Symposium programme and full event overview. View past papers and case studies archive to learn about the value that Symposium contributors bring to the CIBSE community and sector as a whole. They can be freely downloaded as PDFs from our dedicated website. 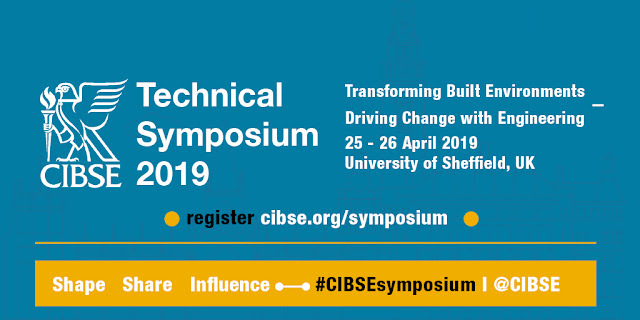 The CIBSE Technical Symposium is an annual event featuring speakers and poster presentations from a range of disciplines. All papers and posters are peer reviewed. Anybody can submit a topic for consideration, which will then be assessed by a panel of reviewers to determine its suitability. We look forward to seeing you in Sheffield.